Save RTF as Text in batches like a Pro! 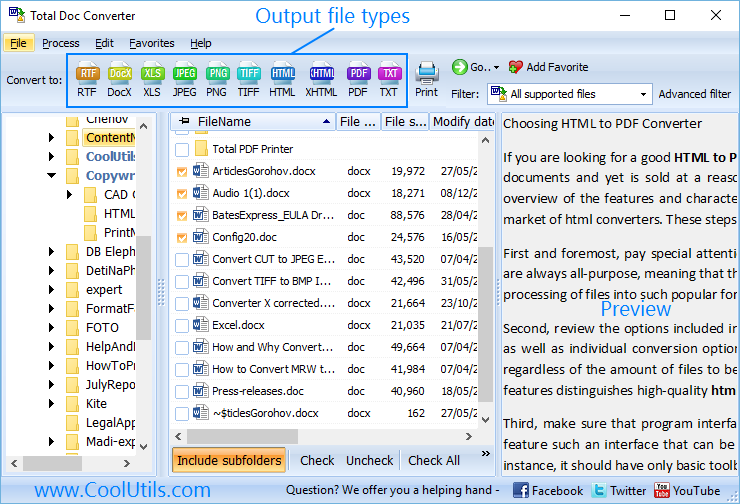 You are here: CoolUtils > Total Doc Converter > Save RTF as Text in batches like a Pro! Rich Text Format is widely popular due to its universal compatibility with all computer platforms. A document in RTF can be viewed and edited in various text applications, and this is very convenient for sharing document between different users. However, RTF files weight a lot compared with other text formats. If you need maximally to cut the document size, it is better to convert them to TXT. If you need to process many files in such a way, use special utility that can convert RTF to text in batch. A suitable solution is Total Doc Converter. When exporting files to TXT, you need to remember that only text information will be rendered. Images inserted in text, as well as text formatting will be lost. This text converter from CoolUtils offer conversion to common TXT or Unicode TXT, you can choose any you wish. 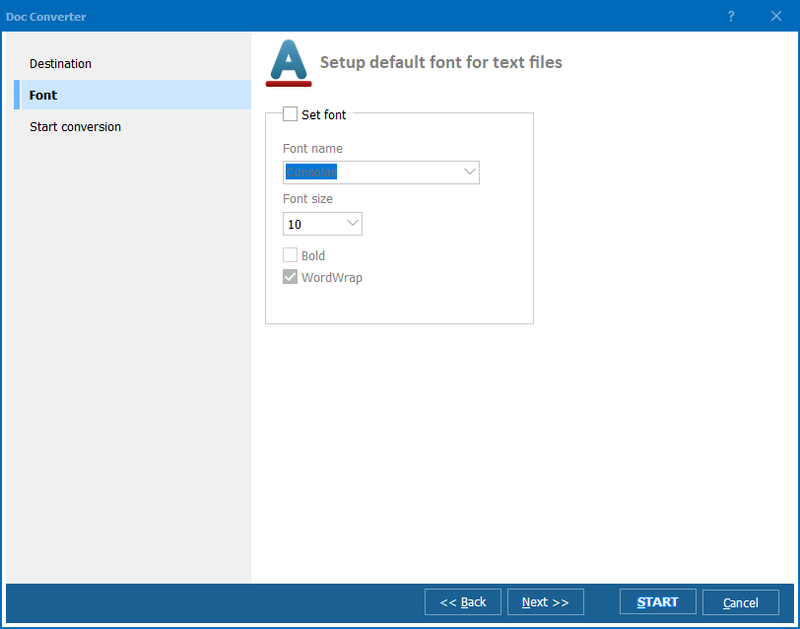 The same text file saved in RTF is 6 – 7 times bigger in size than the same file in TXT. 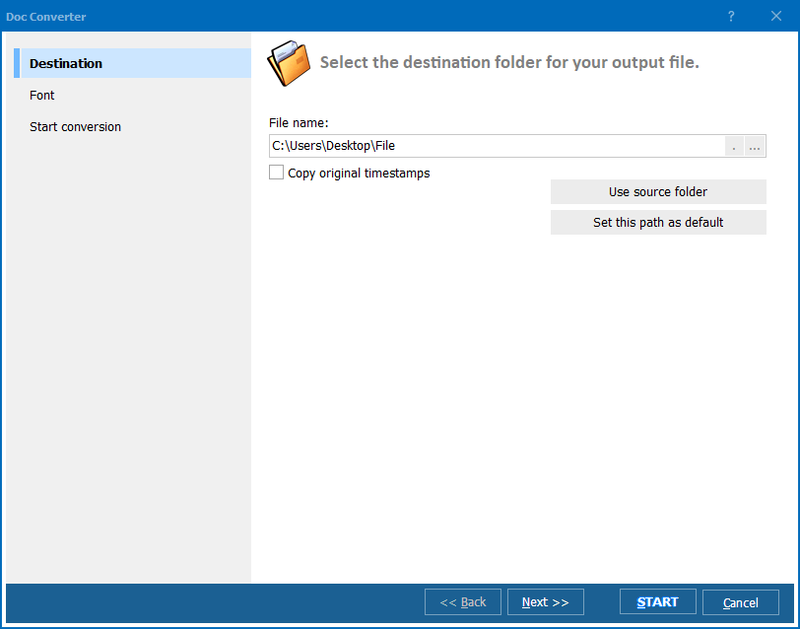 You can create compact document storage by converting your RTF file collection to plain text. It is perfect for backup purposes. 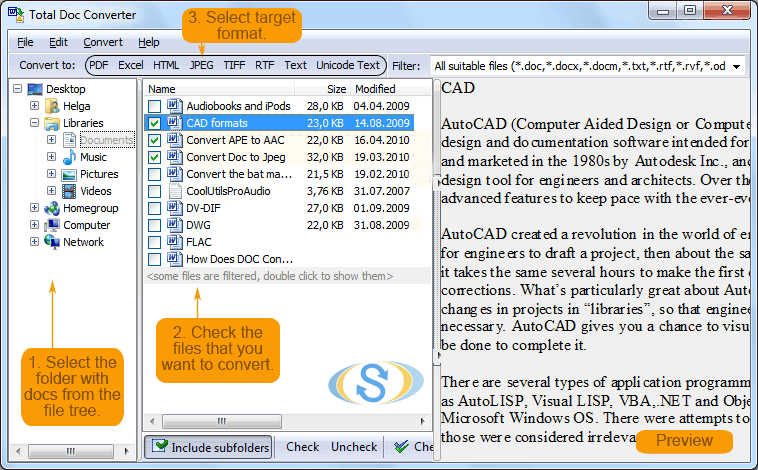 Batch conversion saves a lot of time, converting 100 files will take you about a minute, if to use Total Doc Converter. The program supports also convert RTF to text command line mode for running conversions in background mode, without graphic interface. 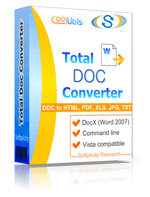 You can use Total Doc Converter for 30 days free of charge, as it is available in free trial. At any moment you can upgrade to licensed version.